Creates boxed or decentered lens-shape data automatically. 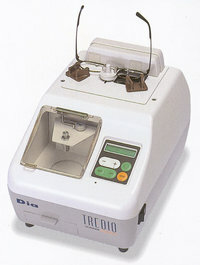 An accurate boxed or decentered lens-shape data available with simple and quick operation. Traces a frame as small as 18mm high. Scans a lens or a pattern simply.